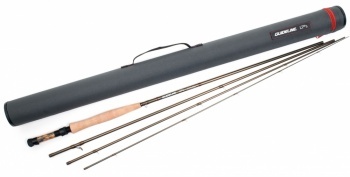 Lps (Light Presentation Series) Is Euro Nymph/Light Dry Fly Presentation Rods That Offer An Amazing Experience. Built From High-Modulus 36/30 Graphite Materials With Reduced Resin Content, Weight Has Been Kept At A Minimum With An Impressive Balance (For Rods Of This Length And Price). Action Curves Have Been Developed And Refined Together Withtwo Of The Very Best Euro Nymph Anglers In Uk: Alex Jardine And Lewis Hendrieto Suit The Competence Level And Casting Style Of Beginner To Intermediate Anglers.